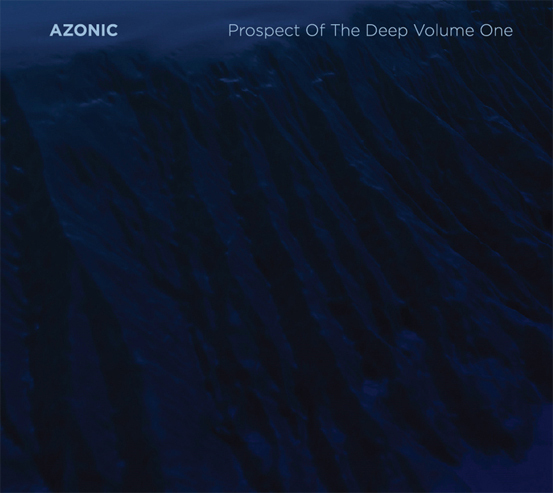 August 22, 2017 (Brooklyn, NY) – Indivisible Music will release the highly anticipated new album by Azonic titled, Prospect Of The Deep Volume One, on Friday, October 27th, 2017. Formats include vinyl LP, CD and digital download. Artwork by Seldon Hunt. 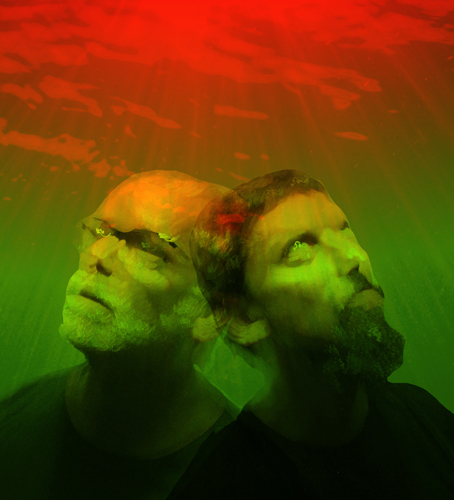 The CD includes the bonus track “Voices Of The Drowned.” Azonic is Blind Idiot God (BIG) founder Andy Hawkins on guitars and Tim Wyskida (Khanate, BIG) on timpani, concert bass drum and gong. 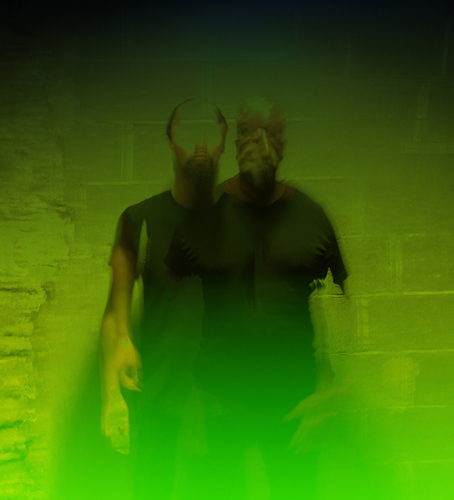 During Blind Idiot God rehearsals, Hawkins was inspired by Wyskida’s more improvisational approach to imagine new possibilities for the next Azonic LP. A standard drum set did not lend itself to the long tone music of Azonic, so Hawkins acquired two timpani and a concert bass drum and Wyskida commited to an improvisational duo of guitar and orchestral percussion. This new material was recorded with Bill Laswell (Motörhead, Herbie Hancock, Sly and Robbie, George Clinton, Bootsy Collins, Method of Defiance, Laurie Anderson, Painkiller, White Zombie, Material, Golden Palaminos) at BC Studios last November. BC Studio (Swans, Sonic Youth, Cop Shoot Cop, Brian Eno, Khanate, Live Skull, Foetus, Dresden Dolls, Ramones, Iggy Pop, John Zorn, Ginger Baker, Material) was selected for its enormous tracking rooms, which are ideal for the high volume, long tone qualities of this music. The recording is highly evocative, rich in tone, focused wide and with an immense scale. Randy Blythe from Lamb of God (in a piece for Talkhouse) wrote “Andy Hawkins once again shows that he is a guitar player of prodigious talent, wrenching an astonishing array of sounds from his instrument…” And rock critic Hank Shteamer blogged “Wyskida is one of the rare heavy drummers I’ve heard, and especially one of the rare double-bass drummers I’ve heard, who can pummel while also caressing the time, coaxing out its little microdetails.” A New York club promoted billed Azonic as “orchestral drone.” The band has played with fan-favorites Sunn (featuring Wyskida’s bandmate from Khanate, Stephen O’Malley). Influences include Jimmy Hendrix, Gorgy Ligeti, Blind Idiot God, and Igor Stravinsky.